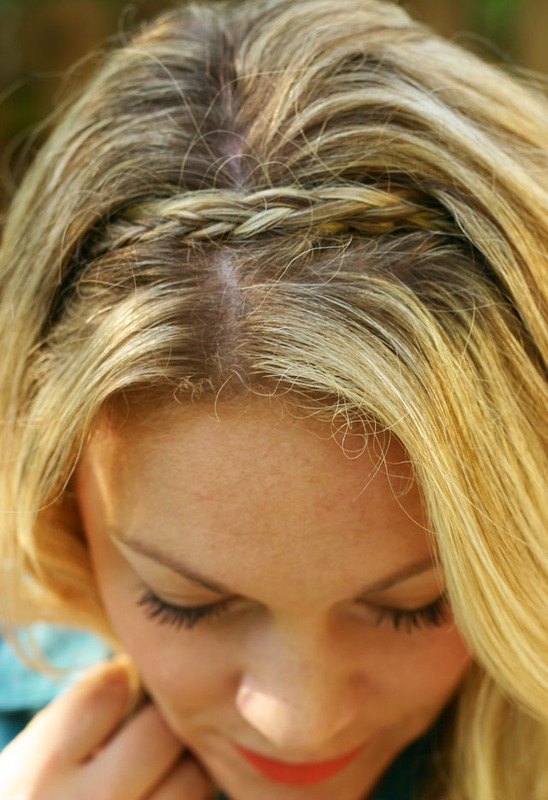 An easy way to tame my frizz on a bad hair day... braids. Braids pinned into a headband, to be exact. I braided a section of hair on each side of my head and then wrapped them atop and pinned. I let down the top layer of my hair to cover the pins. Ta-Da. Another trick. Copying J.Crew on the half tuck look, to half hide my belly. Will my stomach ever go back down? This baby making biz is hard stuff.